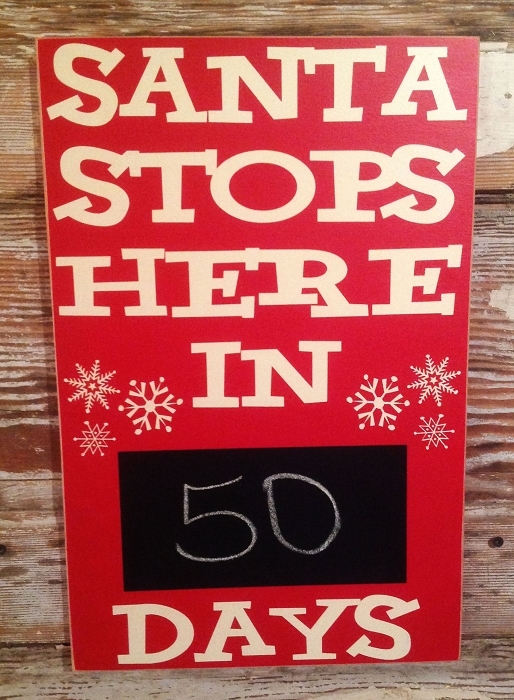 Santa Stops Here In Countdown To Christmas Days. This sign measures approximately 12"x18". 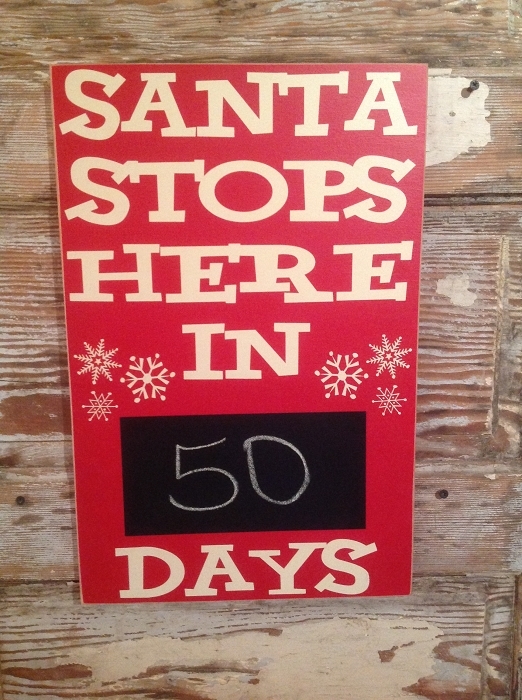 As Pictured, Red sign with Off White Lettering and Black Chalkboard Strip to Change the Countdown Date daily. This sign is hand crafted and painted with care. Extra time is taken to ensure your painted sign with design and/or lettering comes out crisp. Our signs are proudly made in the U.S.A.